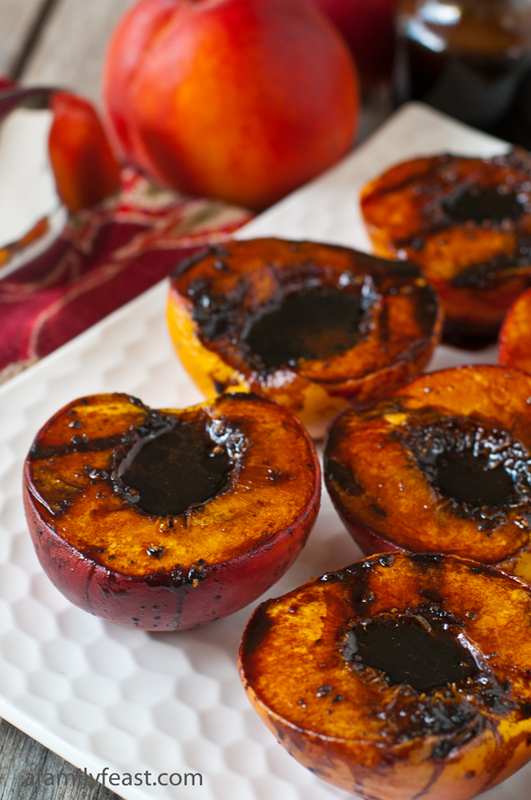 I’m so excited to share this fabulous recipe with you today – Grilled Balsamic Peaches! This is a great way to enjoy the fresh peaches that are in season right now. 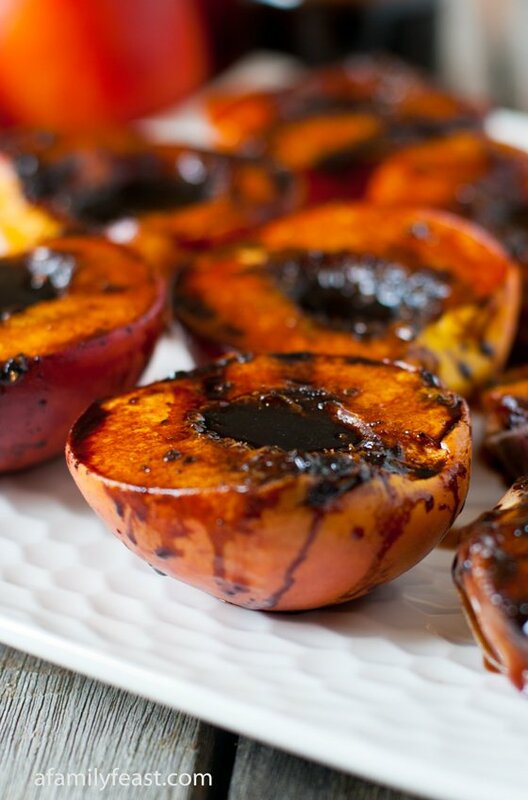 Something really terrific happens when peaches are grilled. 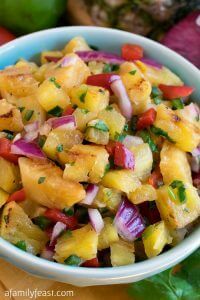 The heat caramelizes and intensifies the natural sweetness of the fruit, and the flavors are really something special! 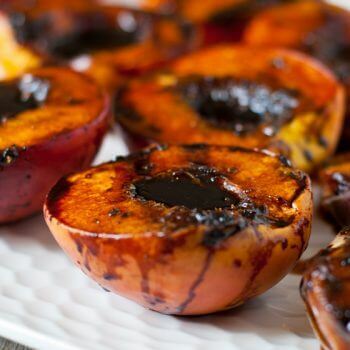 And a rich, sweet-tart and peppery reduction of balsamic vinegar, molasses and freshly ground black pepper is the perfect counterpart to the intense sweetness of the grilled peaches. We make this recipe all the time during the summer. 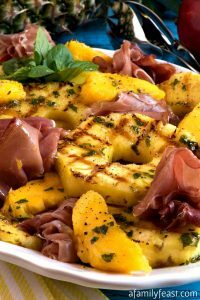 The peaches are done in just a few minutes, so anytime you have the grill going – just place a few peaches over the heat and you’ll have a wonderful addition to your meal in no time! Any leftovers of the balsamic reduction will last in the refrigerator for a few weeks as well, so you can enjoy this recipe often. 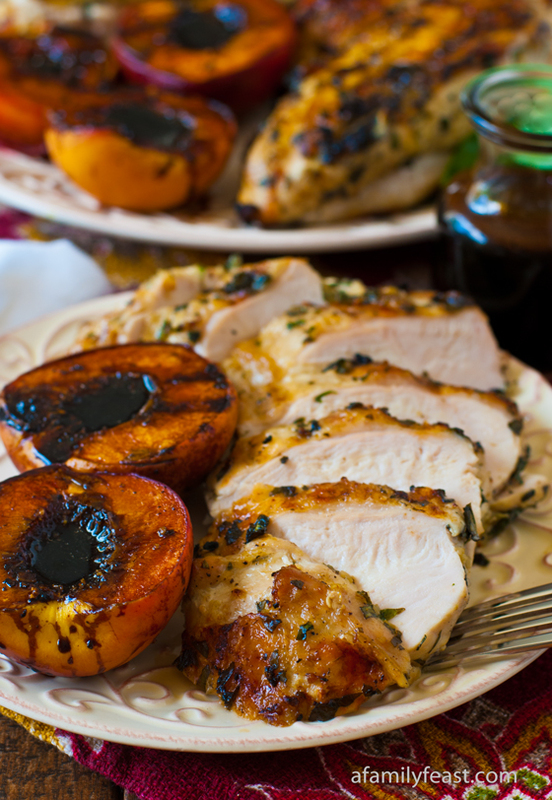 These grilled balsamic peaches are particularly good with our Grilled Basil Garlic Chicken Breasts. 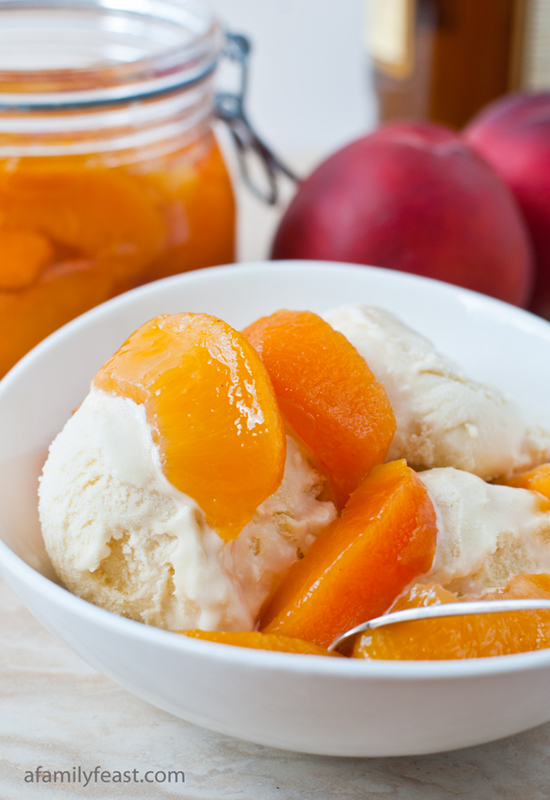 Note: Using perfectly ripe peaches is important for this recipe. If your peaches are over- ripe, they will get mushy and too soft when grilling (although they will still taste delicious!). If your peaches are under-ripe, the stone will be very hard to remove. See our note at the end of the recipe with some tips to ripen peaches. Heat the grill to medium. Keep glaze warm so it does not harden up. Brush each cut side with oil and place cut down on the grill. Grill for about 2 minutes and flip. Brush the cooked tops with the glaze and cook for about two more minutes. Remove to a platter and brush on more of the glaze. I’m really excited about this recipe, but unfortunately I don’t have molasses in my pantry right now. Could I substitute maple syrup? Hi Steph – The brown sugar will give you some sweetness and caramelization, but the consistency is very different than the molasses. Not totally sure how it will turn out – but give it a try and let us know! 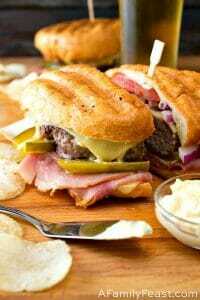 Just made these tonight – delish! Our peaches were really big so I thought they might take a little longer, but 2-3 mins per side was perrrrfect. I’ll probably make this again tomorrow! Thanks for taking the time to write to us Patricia! We’ve very glad you enjoyed the recipe! 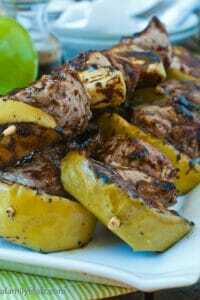 When I click on recipe for Frozen Grasshopper Squares the recipe for Grilled Balsamic Peaches comes up. Where can I find the Grasshopper Squares recipe ? Hi Nancy – we don’t have a Frozen Grasshopper Squares recipe on our site. 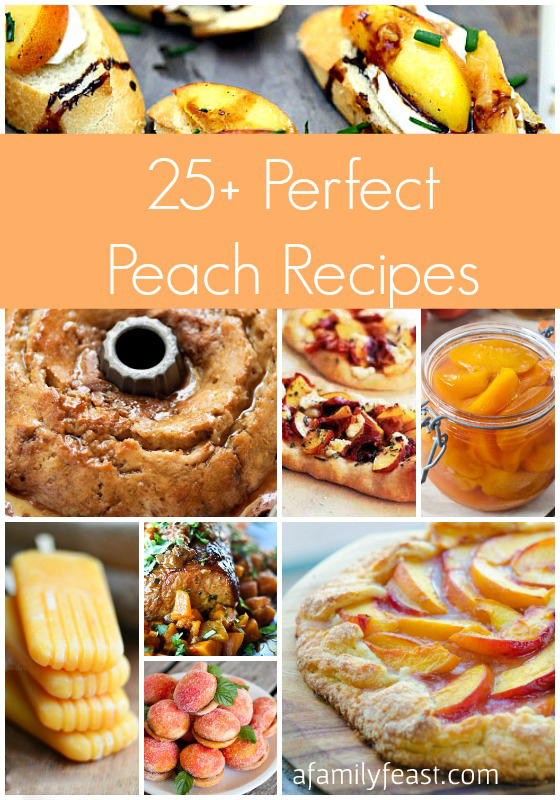 Where are you clicking from before you get to our peaches recipe? That might be the place to search instead. Sorry I can’t help!